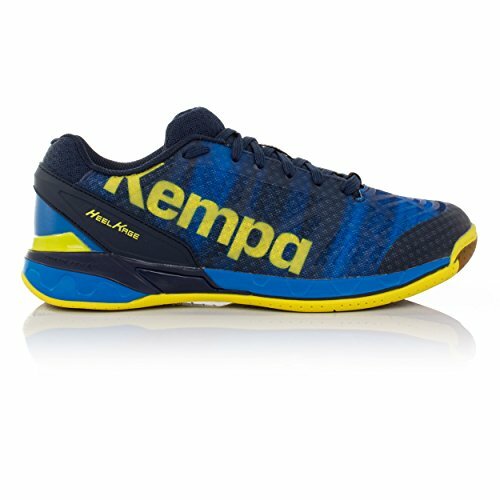 The Kobra Mid 2 - a sibling of Salmings success indoor shoe the Kobra launched in 2016 - has become a Salming indoor shoe icon - a shoe that will stand the test of time, combining a blend of lightweight, cushioning and stability. Compared to the regular Kobra - Mid has a higher shoe upper construction and lengthened lacing area that creates additional comfort and stability. 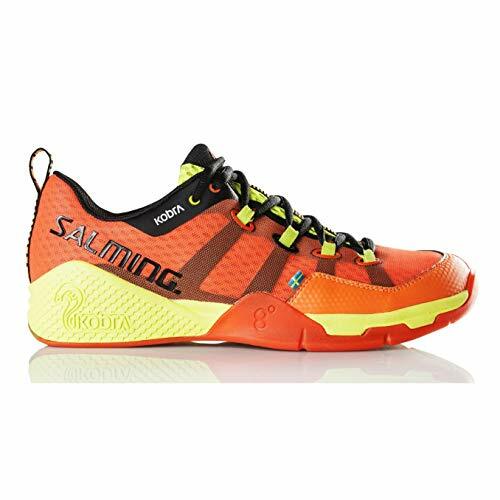 The Salming Kobra is a fast paced unique combination of lightweight, cushioning and stability. 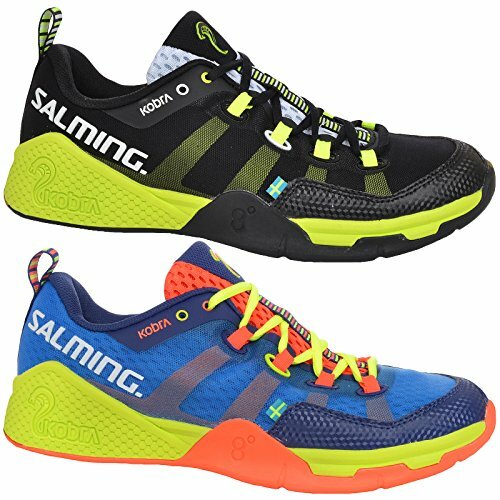 As Salming's flagship shoe, it stands up against the best in the industry and worn by many professional squash players. In order to facilitate agility and stability but still maintain the lightweight characteristics, Salming has designed the midsole rear end with higher side walls that wrap around the heel area. The Kobra's ExoSkeleton design is totally integrated with the lacing construction in order to facilitate the best possible wrap-around effect of the foot. This keeps the foot in the right position during lateral movements. Added to the Kobra is Salming's HexaGrip outsole; a new and very durable lightweight rubber compound (HX120) that features Salming's HexaGrip pattern designed for the est possible grip on all indoor surfaces. The Salming Kobra is a fast paced unique combination of lightweight, cushioning and stability. RollBar: An increased radius on the inner side of the outer sole, facilitates rolling the foot inwards and toe push off. T.G.S. 62/75 (Torsion Guide System): The distance from heel to the ball of the foot has been designed with extra stability, which ends in the ballet line. 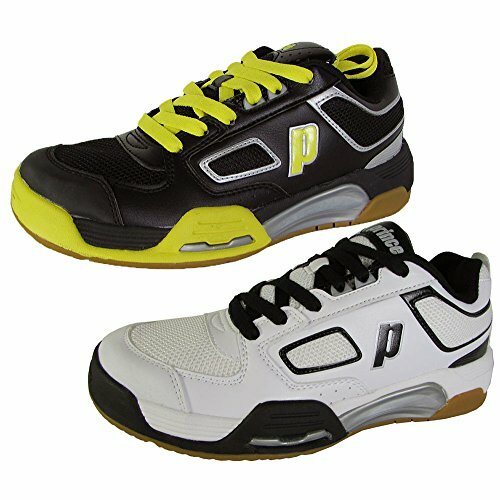 In front of this line Salming has equipped the shoe with greater flexibility to stimulate the foot's natural movements. New POWER CUSHION construction enables a new level of fast and light footwork. Breathable mesh upper - For exceptional ventilation and responsive feel. Exo Skeleton design - Stabilising the foot, eliminating friction and relieving joint pressure. Ergo Heelcup - For a transformable and adaptive fit. Lateral Movement Stabiliser - Light dual-torsion unit supporting foot. RECOIL midsole cushioning compound - Reduces impact forces and grants higher rebound. The Head Indoor Sprint Pro has a Micro-Fit last with a snug heel and midfoot. It comes with a one piece perforated ethylene vinyl acetate core layer for perfect fit and stability. The thermoplastic polyurethane heel acts as a good stabilizer with toe and medial rubber protection. The shoe also provides a breathable mesh tongue and vamp. Salming's marquee shoe for the 2018 season, the Salming Hawk gives you a stable but very lightweight feel on court. The low-to-the-ground-profile keeps you connected to every step on court while the Salming ExoSkeleton inner cage connects to the lacing system for excellent support. HexaGrip outsole is made up of a lightweight rubber compound that's durable and has great grip on indoor courts. 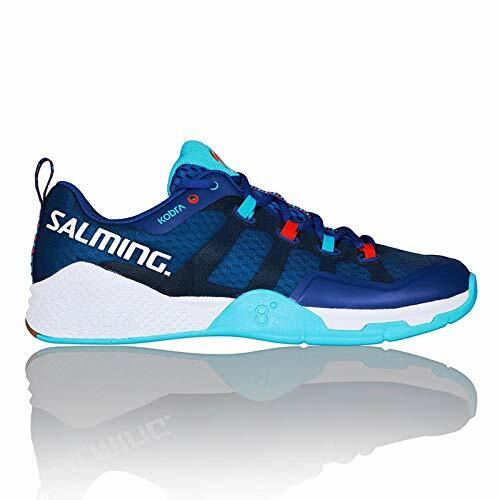 For added comfort and support Salming has added Recoil ERF, a lightweight cushioning material that is placed in the midsole and helps with rebound as you transition through steps. 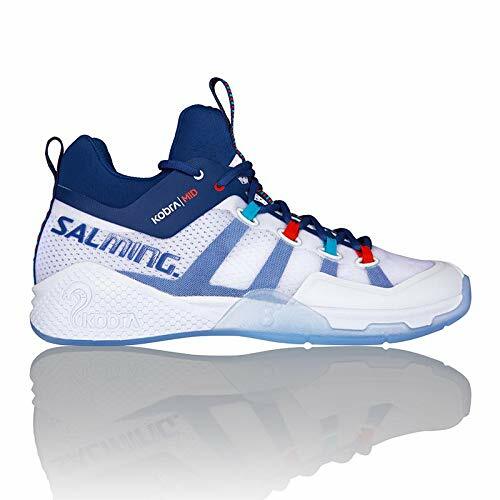 Overall, the Salming Hawk is a great shoe for athletes that want to feel totally connected to the court and move extremely quickly to put more pressure on their opponents. The Salming Kobra 2 is a fast paced unique combination of lightweight, cushioning and stability that instantly has become a favourite among our athletes. The second generation has the new Recoil ERF - Energy Return Foam - midsole, which is a super lightweight cushioning foam that releases a higher rebound energy effect. In the heel impact zone we have replaced the Recoil R with the new SoftFOAM compound that has 71% better shock absorbing properties than standard EVA midsole. The upper has been powered with lighter and thinner reinforced areas. Combined, all these improvements will help you maximize your performance. Textile Forefoot - Offers better flexibility and breathability. Control Clip - TPU injected heel clip that adds stability during quick movements. Dual-Density EVA Midsole - Provides the perfect balance between shock absorption and rebound properties. Exo skeleton - Stabilising the foot, eliminating friction and relieving joint pressure. EVA cushioning compound - Reduces impact forces and grants higher rebound. Lateral Movement Stabiliser + - Prevents the foot from rolling over outwards. The Yonex Power Cushion Aerus badminton shoe is perfect for anyone indoor court athlete that wants to feel as light on the court as possible. Breathable and eye catching, the Aerus has a P.U. Leather and Double Russel Mesh upper with vents to help your feet breath no matter the conditions. Double Russel Mesh is an ultra fine mesh that is extremely lightweight and durable. It provides eight times more air-exchange for releasing moisture than ordinary mesh fabric. Hyper msLite in the midsole creates a 10% lighter shoe (when compared to original high-performance midsole). The all rubber sole dramatically increases traction so that you can take on any shot that comes at you and reach all corners of the court. Brand: Prince. Department: Mens. Style Number: 8P423. Style Name: NFS Assault. Materials: Synthetic Upper, Textile Lining, Synthetic Outsole. Lace Up Front Closure For Secure Fit. Synthetic Leather/Mesh Air Upper Is Lightweight And Provides Breathability. GreenFit Technology: Ultra Soft Cushioned Comfort, Wicks Moisture Away, Odor And Fungus Inhibiting, Circulates Air Underfoot. TPU Arch Bridge Provides Midfoot Support. Duraskin II Forefoot Provides Lightweight Durability For Heavy Toe Draggers. Multi-Traction Outsole Tread Pattern For Durability And Traction On A Variety Of Surfaces. Made In China. 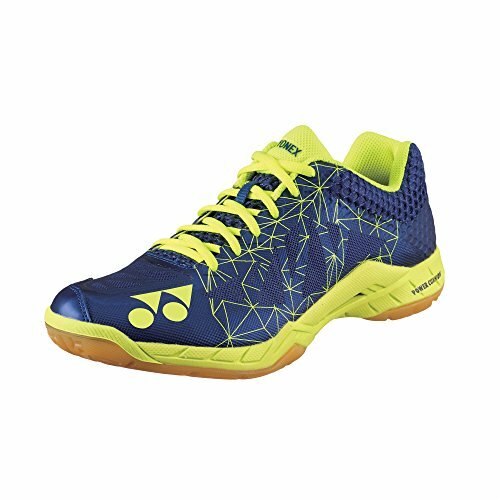 Designed for players seeking the very best in comfort, durability and movement when competing on court, the Dunlop Ultimate Tour Indoor Court Shoe features D3O impact protection technology, with an Anti-drag zone to combat high stress and abrasion at the points where a player impacts the court the most. 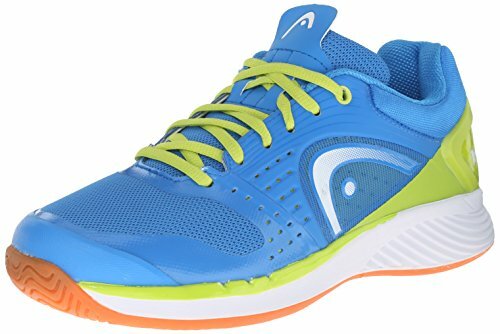 This Dunlop squash shoe also has a Hot Melt upper design offering superior breathability and lightweight performance, finished with a performance rubber outsole offering enhanced traction and maximum durability. Features: D3O Impact Protection technology for superior impact resistance and injury prevention. Hot Melt upper design for breathability and lightweight performance. Anti Drag Zone to combat high stresses and abrasion. AEGIS Antimicrobial lining to fight bacteria and odors. Dunlop Performance Rubber outsole for enhanced traction. Premium last design for ergonomic fit and comfort. 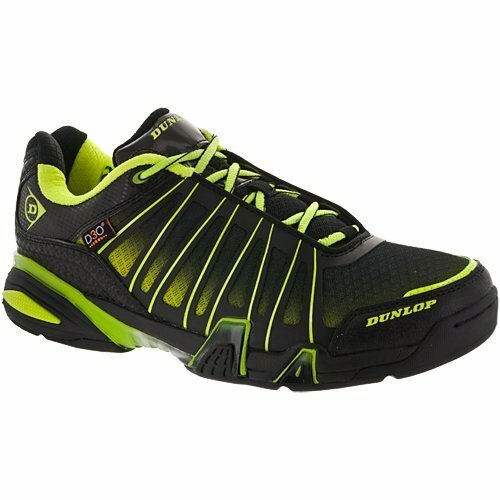 Great indoor shoe for squash & racquetball. D3O Impact Protection technology for superior impact resistance and injury prevention. Hot Melt upper design for breathability and lightweight performance. Anti Drag Zone to combat high stresses and abrasion. Dunlop Performance Rubber outsole for enhanced traction. The Salming Kobra is a fast paced unique combination of lightweight, cushioning and stability. 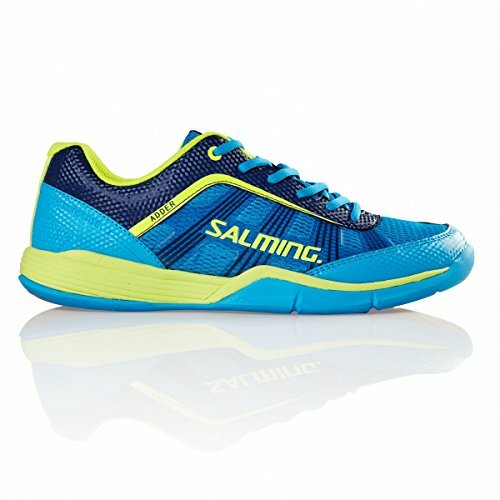 As Salming's flagship shoe, it stands up against the best in the industry and worn by many professional squash players. In order to facilitate agility and stability but still maintain the lightweight characteristics, Salming has designed the midsole rear end with higher side walls that wrap around the heel area. Kobras ExoSkeleton design is totally integrated with the lacing construction in order to facilitate the best possible wrap-around effect of the foot. This keeps the foot in the right position during lateral movements. Added to the Kobra is Salming's HexaGrip outsole; a new and very durable lightweight rubber compound (HX120) that features Salming's HexaGrip pattern designed for the est possible grip on all indoor surfaces. ExoSkeleton: The exo skeleton design stabilizes the foot for lateral movements and reduces pressure at the Metatarsophalangeal joints.